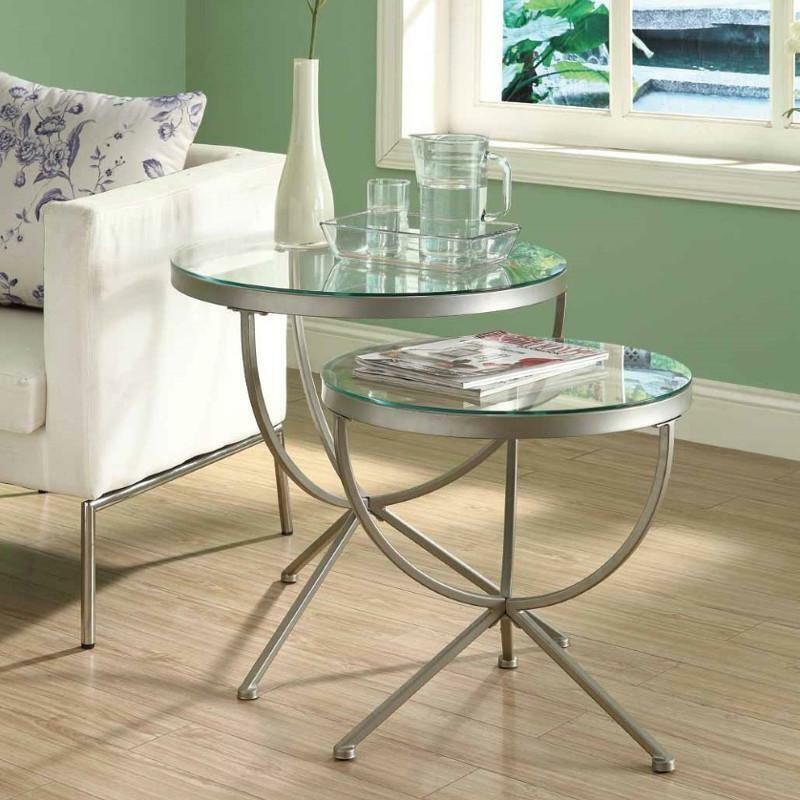 This chic 2 piece round nesting table set from Monarch Specialities with 5mm thick glass top will add contemporary sophistication to any room in your home. 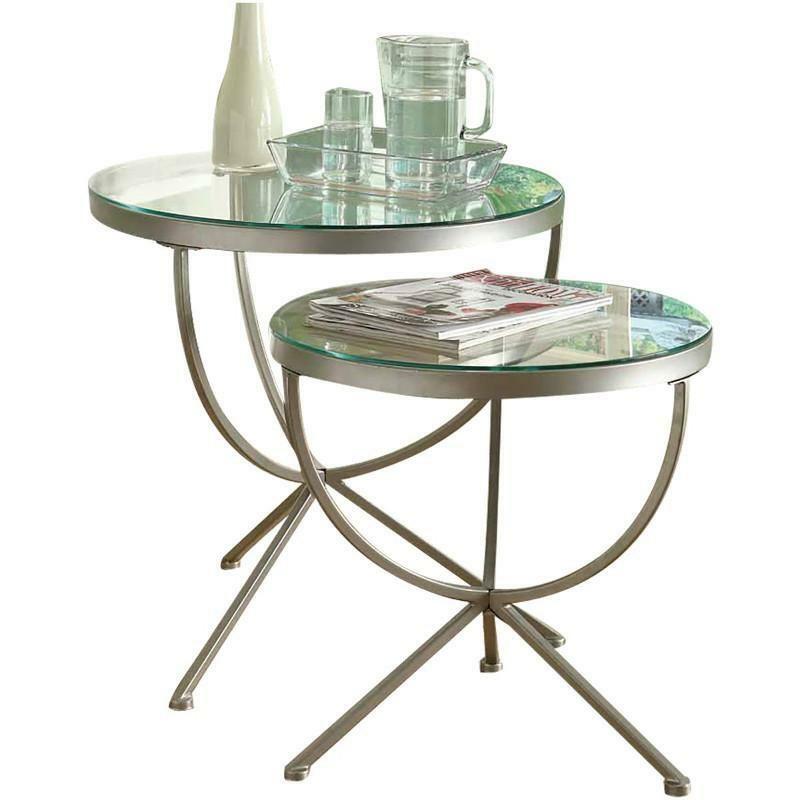 The satin silver metal base with curved legs offer a unique design that not only is eye catching but provides stability. Use this multi-functional set as end tables, lamp tables, decorative display tables or separately for added surface space when company arrives. Additional Information Tempered glass tops with metal base; Tempered glass round tops; Satin silver.